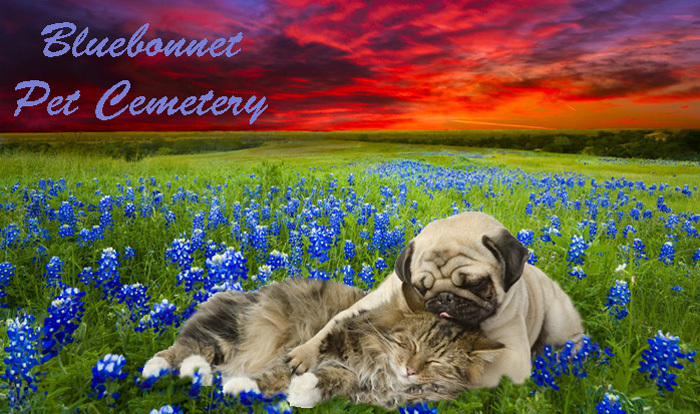 Bluebonnet Pet Cemetery offers caring and ethical burials and cremations for your pets. Bluebonnet Pet Cemetery has recently teamed up with Neptune Society so that pet owners and their pets can be interred together. This service can be done for up to two pet owners and four pets at a lower price than a typical interring for one person. Bluebonnet pet cematary has been serving the DFW Texas area since 1963, including Ft. Worth, Dallas, Arlington, Hurst, Euless, Bedford, Keller, Saginaw, Azle, Colleyville, Southlake, Mansfield, Kennedale, Crowley, Benbrook, Irving, River Oaks, Burleson, Grand Prairie, Fort Worth, Haltom City, North Richland Hills, Coppell, Grapevine, Lake Worth, Pantego, and White Settlement.